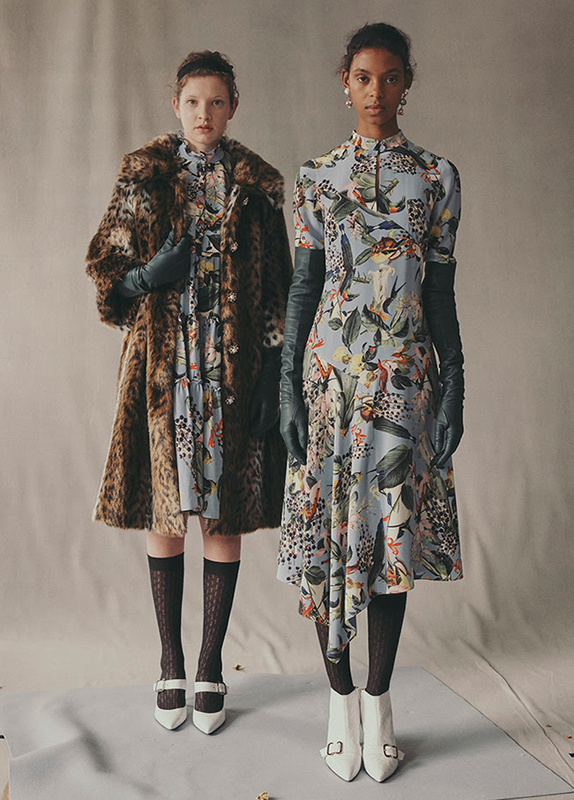 Pre Spring 2019 sees the return of the Fassett Dream print, an ERDEM archival design. Reimagined in a fresh colourway, dusty blue provides the perfect background for pastel pink, rich jewel red and hints of yellow, lending a seasonal feel. Take styling cues from the lookbook and wear with leopard print this season.